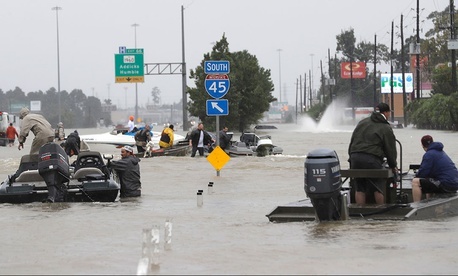 The flood insurance program, which was created in 1968 and is run by the Federal Emergency Management Agency, administers some 5.1 million policies totaling $1.25 trillion in coverage across 22,000 communities. But the program has also amassed a debt to the Treasury of $24 billion. Its flood maps are considered out of date, and it has been on the Government Accountability Office’s high-risk list since 2006 because of financial issues and operational inefficiencies. “Since the program offers rates that do not fully reflect the risk of flooding, NFIP’s overall rate-setting structure was not designed to be actuarially sound in the aggregate, nor was it intended to generate sufficient funds to fully cover all losses,” GAO reported in February. Despite updated legislation in 2012 and 2014, the flood insurance program—which faces a reauthorization deadline of Sept. 30—has been the subject this year of several congressional hearings and legislative reform efforts. Texas Republicans, such as Sens. John Cornyn and Ted Cruz, and House Financial Services Committee Chairman Jeb Hensarling, have been leery in the past about disaster relief spending. in 2012, all three voted against boosting emergency aid for victims of Hurricane Sandy without offsetting spending cuts. Hensarling’s office did not respond by publication time Monday with a comment on whether Harvey’s impact had changed his views. A group of state insurance commissioners backs the flood insurance program. "The NFIP plays a critical role in providing coverage and any delay or lapse in the program will hurt consumers," said Mike Consedine, CEO of the National Association of Insurance Commissioners, in July. Meanwhile, the balance in FEMA’s cash relief fund stood at $3.8 billion as of July 31, with most of that set to be spent by the end of September, Fortune has reported. The House has proposed adding $6.8 billion to the fund in fiscal 2018, a figure that may rise in Harvey’s wake. Last month, the House Appropriations Committee rejected Trump’s proposal to kill the NFIP’s mapping budget, instead earmarking $190 million for flood plain management and mapping and $13 million for associated salaries and expenses. Wright endorsed the effort to encourage a larger private-sector flood insurance market. H.R. 2868, introduced by Rep. Lee Zeldin, R-N.Y., aims to protect NFIP policyholders from unreasonable premiums and requires FEMA to conduct a study to analyze the unique characteristics of flood insurance coverage of urban properties. H.R. 2875, by Rep. Nydia M. Velázquez, D-N.Y., is designed to reduce fraud and ensure policyholders’ claims are paid out. Some Democrats have criticized the overall Republican approach. “Flood insurance premiums and fees would still increase for all policyholders, coverage would still be less available, and cherry-picking by the private sector would be encouraged, putting the government on the hook for the riskiest of policies,” said Maxine Waters, D-Calif., ranking member of the Financial Services panel. Yet another bill, which has drawn the backing of the insurance commissioners association, is the Flood Insurance Market Parity and Modernization Act (H.R. 1422, S. 563) introduced in the House by Dennis Ross, R-Fla., and in the Senate by Dean Heller, R-Nev. It seeks to reassure lenders and consumers of the validity of privately issued flood insurance. "State insurance regulators support this legislation because it provides consumers with more options for coverage, which could lead to more affordable prices," said Ted Nickel, NAIC president and Wisconsin insurance commissioner.